We present you the right spraying solution for your application! Wayne Snodin presents common challenges and problems that can occur during the wood coating process. 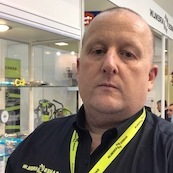 He points out different solutions that SAMES KREMLIN, as a renowned manufacturer of spraying equipment since 1924, can provide to the customer, whatever the application he uses. Get to know our bestsellers and learn from the expertise we offer in all fields of spraying technology!